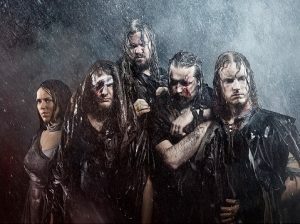 Crimfall were one of the most promising symphonic power/folk bands out there in the late 2000s. They released two incredible albums in as many years. The first album was quite bouncy and unique with tons of fun to be had the whole way through. The follow-up was a little heavier and darker but still just as good. Then they went into the shadows for a while until news of a new album broke this year. Given that Amain comes six years after the last album, how will their sound hold up on the long-awaited third album? The answer is pretty damn well considering the six year gap between albums. Musically, this album sounds like a combination of their two previous albums, which makes sense. The fun, bouncy songwriting is still there, albeit slightly subdued, but so is the darker, heavier atmosphere from the second album. The album is not quite as riff-oriented as the first two, which is disappointing, but there are still a few good riffs on here. “The Last of Stands” and “Mother of Unbelievers” stick out in this category immediately as both feature reasonably heavy riffs played at a decent clip. Jakke’s riffing in “The Last of Stands” evokes memories of Jari’s stellar riff work on Ensiferum’s first two albums. Jakke’s style is slightly heavier, perhaps showcasing a slight black metal influence. There are a ton of excellent acoustic guitar melodies on this album, which keeps things fresh but they overdo it a little with the “Ten Winters Apart” saga. Janne turns in a very solid performance behind the kit including the middle-eastern percussion that introduces “Mother of Unbelievers.” It seems to come from left field because Crimfall has never done anything like that before but hey, it works pretty well for them. As a big fan of middle-eastern sounds in metal, it is hard to complain about Crimfall taking a page from Orphaned Land’s book. The rest of the album features plenty of solid fills that keep the beat moving but he really propels a good portion of “Wayward Verities” into the stratosphere, leaving little doubt about the album’s best song. Miska’s bass lines back Janne up really well too. Many of the bass lines are audible and actually add to the melody, which is refreshing. This is particularly noticeable on the epic closer, “Until Falls the Rain,” where they are really in full flight adding to the bounciness of Crimfall’s sound. They definitely saved the best for last and long-time fans will be very pleased with this song as it sounds the most like their debut. The female vocals are dialed back compared to their previous output but Helena is still an above average vocalist. The “Ten Winters Apart” saga showcases the smoother side of her voice and while she has a few good notes on part three, nothing quite matches the power she once had on songs like “Wildfire Season” from the debut. Helena’s voice is still unique and quite good but it is Mikko’s harsh vocals that seem to dominate this album. While they are quality harsh vocals, their overuse slightly detracts from the enjoyment of the album as a whole. 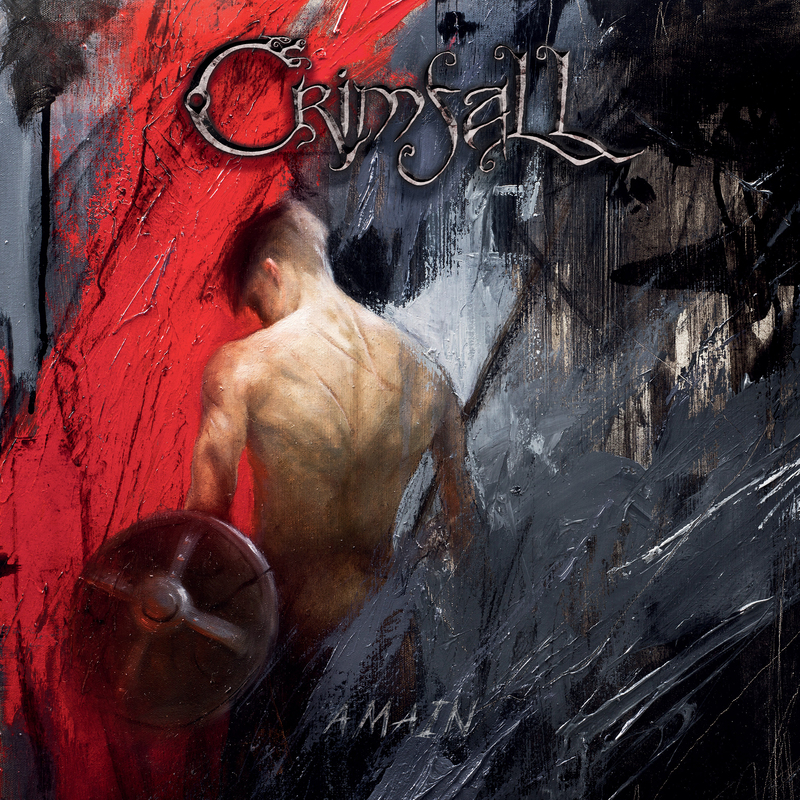 True to form, Crimfall have produced an epic album with Amain. It is very well produced with plenty of grand orchestration worthy of a battle scene in a movie. The choirs on this record are also quite good and not overused. There is some nice folk instrumentation scattered throughout this album but it definitely could have used more. The album contains some truly excellent tracks, most of which are at the back, and none that are inherently bad. Some albums are front-loaded but this one is back-loaded. The front and middle are solid but the quality is not quite up to that of the back end. Still, there is a lot for fans to like on this album with tracks like “Wayward Verities” and “Until Falls the Rain,” but as a whole, this album is not quite up to par for this band. Hopefully they take the positives of this album and build on them for the next one. This entry was posted in Folk Metal, Power Metal and tagged 2017, Amain, Crimfall, finland, folk, Metal Blade Records, power, symphonic, viking.